inkyloulou Designs: Queensland Flood Appeal- A Helping Hand From Stampin' Up! 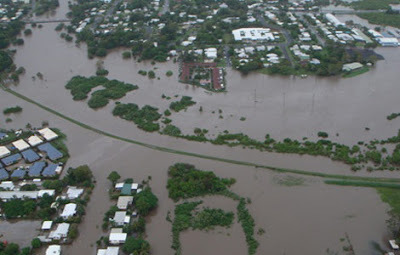 Queensland Flood Appeal- A Helping Hand From Stampin' Up! What a terrible week it has been for those in Queensland. The floods that have ravaged these areas have caused so much despair and destruction. I, like so many others, have sat here, on the other side of the country, helplessly tuned into the news and special broadcasts with my heart hurting for all those affected. As it turns out the wonderful people at Stampin' Up! 's Australian and International offices have been feeling exactly the same. This fantastic, caring and generous company that I am a part of have announced the wonderful way that they are going to help those affected by this terrible natural disaster. Stampin’ Up! demonstrators have a long history of making a difference in the lives of others – especially when disaster strikes and the need is greatest. Nearly two years ago, we watched another tragedy unfold in Australia. Our hearts were touched as demonstrators, customers and friends joined together in support of the Bushfire Appeal. We’ve done it before and we can certainly do it again! Please join with us by supporting the Australia Flood Appeal – a cause in which Stampin’ Up! will donate $2 AUD of the retail value of sales from any stamp set (with a retail value of $30 or more) sold in Australia and New Zealand from 15 January through 15 February to the State Emergency Services in Queensland. So, if you have had your eye on a stamp set or THREE then now is the time to buy them and help out flood-affected Australians in the process. Check out the online catalogues HERE and then email me at inkyloulou@live.com and I'll place your order for you. Or if you want to get your friends together for some stamping fun and fundraise in the process, email me and we can book a workshop together. I'm sure that together we can all do our little bit to help some brave and needy Australians. what a great cause, Louise and fantastic that a company such as Stampin' Up is doing their bit to help the flood victims.